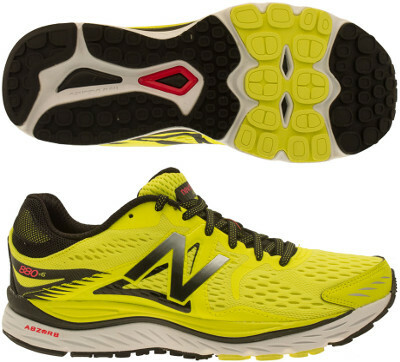 New Balance 880 v6 are neutral cushioned running shoes. The New Balance 880 v6 is one of the latest running shoes from the american brand which has not adopted Fresh Foam technology yet. Current edition from the 880 saga does not get the same attention than its premium sibling 1080 Fresh Foam but the 880 v6 provides great value for money and a lot of reliable cushioning. In addition, 880 v6 embraces PL-10 last which features 10 mm drop and refined shape for springer toe-off as seen in its counterpart with pronation support the 860 v6. Among other changes, upper is more modern compared to its predecessor 880 v5 based on breathable mesh with welded overlays (FantomFit) strategically placed to provide a more secure, better fit. Classical big "N" from Boston brand is made of reflective material to improve visibility under poor light conditions. Although there is no proper pronation control, typical embedded TPU shank in midfoot combined with asymmetrical heel counter deliver good stability for neutral runners. Midsole in is basically the same with firmer ACTEVA® LITE layer on top of durable ABZORB® foam but with refined shape for a more responsive ride. Outsole keeps a simple configuration with minor changes focus on flexibility in the forefoot for quicker toe-off and durability with harder Ndurance® rubber in more exposed areas.